In the 1938 Soviet Cup quarter-finals, seven teams represented Group A, the highest tier of Soviet football at the time: Spartak Moscow (eventual winners), Elektrik Leningrad, Dinamo Leningrad, Dinamo Tbilisi, Stakhanovets Stalino (modern-day Shakhtar Donetsk), Dinamo Odessa (modern-day Chornomorets Odessa), and Lokomotiv Kyiv. The eighth team was something completely different: Dinamo Bolshevo, which never competed on a country-wide league level and qualified all the way from the 1/256 final. Bolshevo was a small village, which is now a part of Korolev, a suburb of Moscow. Back in the 1930s, it hosted a very curious Soviet social experiment: the Genrikh Yagoda Labour Commune (Trudkommuna imeni yagody). Originally known as the Bolshevo Labour Commune No.1, was a massive institution built for the “re-education of young offenders”, founded in 1924. Based in Bolshevo (previously Kostino) because this was the initial base of the Cheka, a pre-cursor to the OGPU & NKVD (the secret police). In 1933, it was re-named after G.G. Yagoda, then Chairman of the OGPU and Commissar of the Commissariat of Internal Affairs. The commune itself was formed outside the small village of Kostino, which was formerly owned by military general Zherebtsov and a mysterious trader in the region recorded merely as “Kraft”. The Cheka created an auxilliary farming estate for “sustenance” (but in reality also housed many of their agents) on the old Kraft Estate, close to the May 1 Factory and Sapozhnikov Advanced Textile Factory nearby. The initial workers hired on the farm were considered by local peasants as a “nest of dark and dangerous people”, and in 1924, the elder (bol’shak) of Kostino, M.I. Kalinin, was sent to apply to “remove the nest of murderers, build high fences and provide security”. Thus, the commune was born, and these fifteen “murderers” became the first communards. These communards typically served a term of 2-3 years, depending upon the severity of their misdemeanour – yet, almost inexplicably, scores decided to stay beyond their years after forming families in the camp and realising the standard of life was in actuality significantly better than many other working-class Soviet citizens endured at the time. They would work on either the nearby farm or in one of the two factories and lived in dormitories on the commune. Although initially it was designed to be an educational institution, this changed after a short time. Naturally, as with many aspects of Soviet governmental framework, the initial good intentions in theory soon petered out, as the commune essentially transmogrified into a de facto manufacturing enterprise – and a profitable one at that. Some revisionist historians have even debated over the nature of this evolution, Sheila Fitzpatrick and Pete Kenez have theorised that it was almost instantaneous, and have alluded that that fiscal profit was one of the chief aims. Although this is, in essence, anti-Communist (which, if revealed at the time would ironically force the said offenders to spend a term at the camp itself), the camp was created after the re-introduction of the New Economic Policy in 1924. This was a short-lived integration of a capitalist, market system within the Soviet state in order to recover from the disastrous Civil War. Eventually, the commune became a fully-blown town with a hostel being replaced by extensive housing, joined by shops, nurseries, schools, a technical school, cinema, library, radio station, hospital, factory and crucially, a stadium. Like so many other aspects of Soviet life, the theory never quite worked as expected in practice. However, Labour Unions such as this are irrevocably considered as roaring successes of Soviet pedagogy and were peddled by the state as “glorious successes of Soviet Marxist-Leninism”. Initially, sport in the commune was unorganised and irregular. Communards would partake purely for fun and inter-commune competition. Even from among the very first few hours of their stay in the commune, the original fiftenn created a makeshift football pitch in the ocrner of the facility. The Communards, naturally, showed a monumental initial interest in sport, and the leadership of the commune strongly recommended a passion in sport. Unlike most other football clubs around this time, however, plans to build a stadium were formed well before that of a competitive football team. 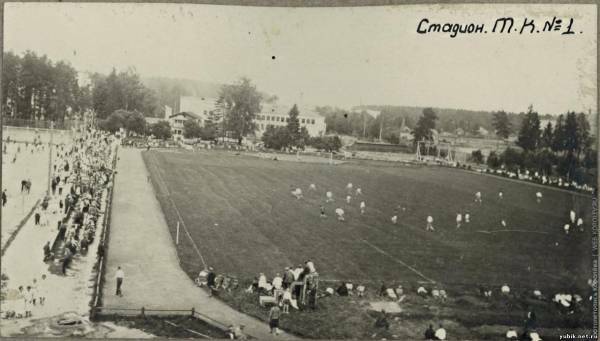 Because much of the history of this area was sparse, the football pitch itself was reported to have been of remarkable quality, and even in Moscow was one of the best. 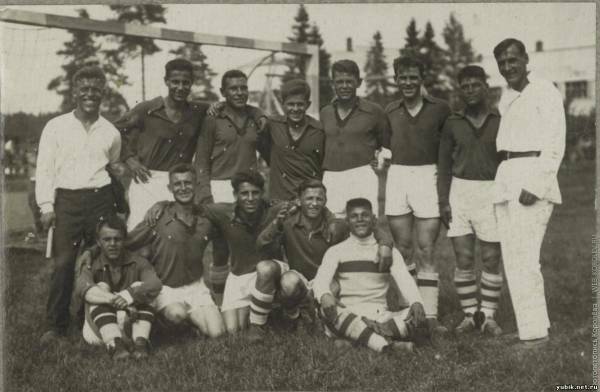 All-Union football and hockey competitions and even international meetings were often held there: the players of one of the Swedish workers’ clubs met with the Communards in a friendly in 1926. However, all sport was unorganised and irregular. In 1928, this all changed. The Central Council of Dinamo Sports Society sent Matvei Goldin to provide a framework for the creation of sporting structures and re-organise the students into a differing range of sports teams. This moment is widely considered as the founding date for the football club. Goldin arrived at the commune in early May. By this time, there was over 1,000 “pupils”. They immediately undertook to build a football stadium. They levelled the site, installed the gates, made a markup and started regular classes, which included elements of running, jumping, gymnastic exercises. Ice Hockey was played in the Winter, on a local frozen pond, and these pupils eventually became the players for Dinamo Bolshevo All-Union Sports Society. The Metalist Stadium was laid, built and completed all in late 1928 and was arguably one of the most impressive at an amateur level in the whole of the Soviet Union. The leadership of the commune, and Chairman of the commune, Aleksandr Pavlov, his assistant Philipp Efremov and a young technician Nikolai Tobin, contributed in every way. Electricians installed the skating rink lighting and small floodlights around the football stadium. By 1930 a railway platform, gymnasium, and four tennis courts soon followed. 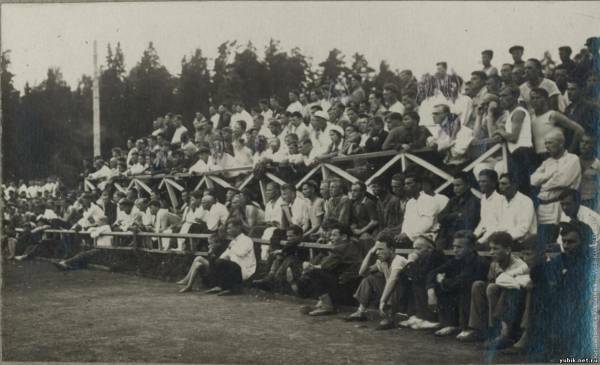 Matvei Goldin became the first official team coach, and from 1931-34 Dinamo Bolshevo dominated local Moscow-based competitions in both football and hockey. The latter became more famous and was a silver medalist at the first USSR Championship in 1936. In football, the Communards had less success up to this point, but still dominated in the local Moscow regional leagues, that is, until right up until just a few months before the commune was liquidated in 1938. This was the apogee of success for the Bolsheviks (as they were named after and nicknamed). They started qualification in the 1/256 round, officially titled as the “First Moscow Zone, Second Sub-group, First Round. Dinamo Bolshevo were forced to play three rounds in the preliminary regional qualifiers, defeating Tsvetmet 5-0, Zavod Geophysika 3-2 and Sniper Podolsk 8-0. Dinamo Bolshevo had dominated the Moscow region in the 1930s, but by 1938 success had waned and the commune itself was waning. Well, the strucutre of being a commune had been outgrew by the size of the now bussling town itself, and thus, many had outgrown the penal colony and funded themselves. The colony was collapsing. Despite this, the football team roared on, with the club in its current guise literally only existing for as long as they were still in the Soviet Cup. Bolshevo defeated Lokomotiv-2 Moscow in the 1/32 Round 3-2 after a long-fought replay, then defeated Soviet Top League sides Spartak Kharkiv 2-1 and Torpedo Moscow 3-0 away to reach the Quarter Finals. They lost to Elektrik Leningrad 4-0 in the biggest game in the history of the club, with Elektrik losing out to Spartak Moscow in the Final. Dinamo Bolshevo’s run raised many eyebrows accross the country, as penal colony kids were so well organsed and overachieved amidst a crumbling commune against some of the then greeatest sides in all of Soviet sport. Players, including Vasily Trofimov, the brothers Ivan and Aleksandr Shcherbakov, Konstantin Ratnikov, Nikolai Sinitsyn, Boris Afanasyev, Ivan Konov, Arkharov, Zabelin and others whose names then sparkled in the club teams who later defended the country’s sports honour and all eventuallyjoined the ranks of honored masters of sports. In 1938, the Labour Union was liquidated. Matvei Iosifovich Goldin was appointed as the chief engineer of the Central Dinamo Stadium in Moscow. Many years later, he was offered to become the chief technologist of the V I. Lenin Stadium – the Luzhniki. For almost 20 years, he cherished, perfected the best sports arena not only in Moscow, but the country.